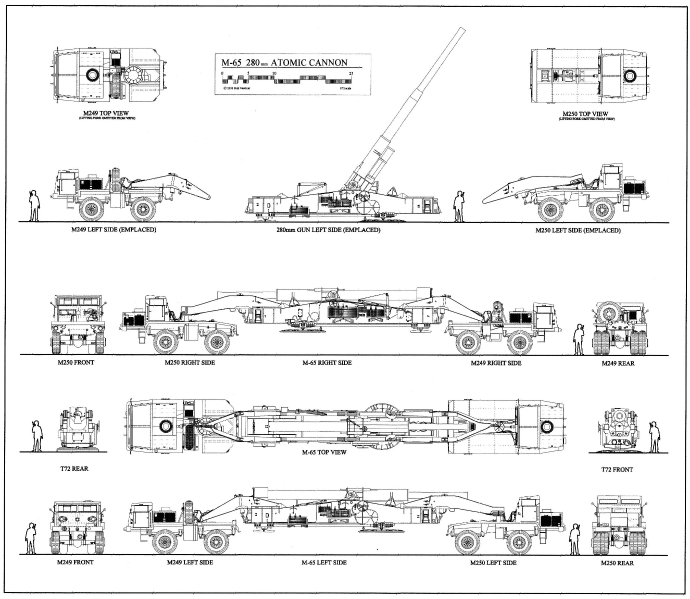 NOTE: Dragon Models of China has released an all new-tool plastic model of the Atomic Cannon, in 1/72 scale, the first new kit in 50 years. It's a great kit, and you can see sprue shots of the parts on the "Model Kits" tab of this website. 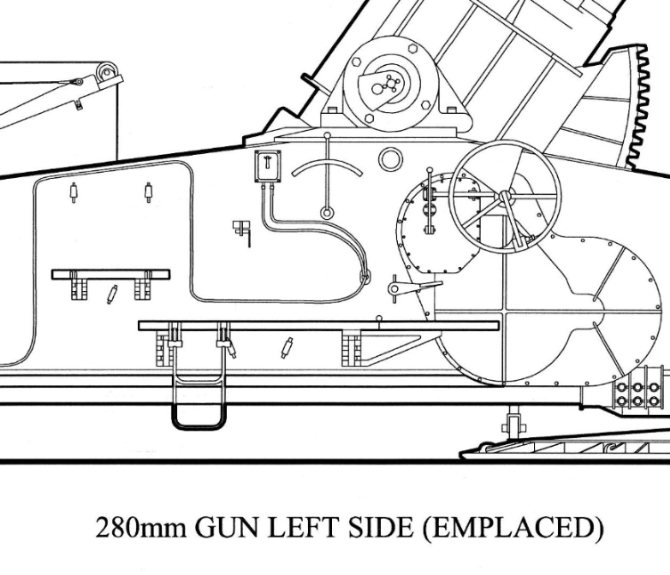 Get your super-detailing 1/72 scale drawings for this kit by ordering, below. In September, 2011, Revell Plastic Model Corporation re-released the Renwal 1/32 Atomic Cannon model, in the original packaging, as part of Revell's "Special Subjects Program". The kit is available on eBay, at online hobby stores such as Tower Hobbies and FreeTime Hobbies, and perhaps even your local Hobby Shop. 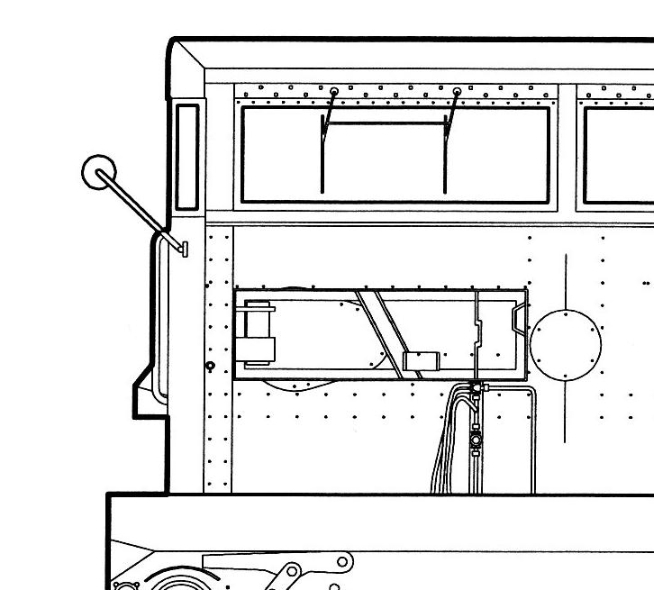 Get your super-detailing 1/32 scale drawings for this kit, below. 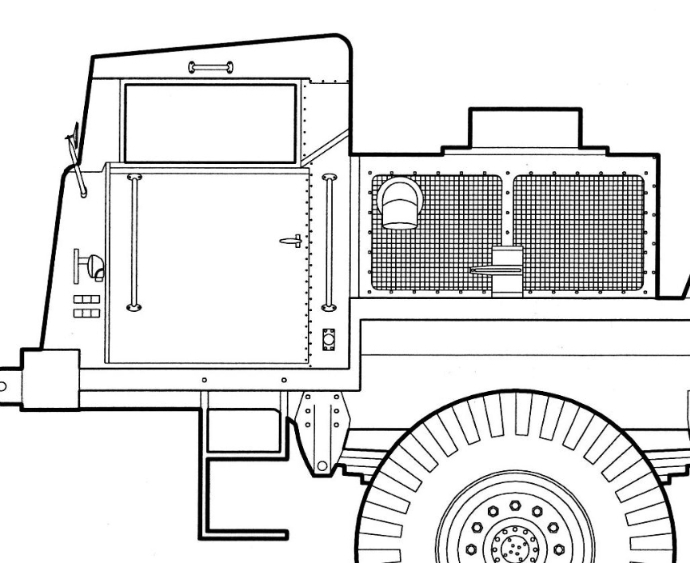 My original AutoCAD drawings illustrate the left side, right side, front, rear, and top of the M249 Front Truck, the M250 Rear Truck, and the T72 Gun in the traveling mode, and one side view in the emplaced mode. Please see the drawing samples, below. If you wish to see a printable sample in PDF form, email me, and I'll reply-email you a sample PDF. E. 1/72 scale: Scale of the new DRAGON kit. The scale of my scratch-built model. One PDF.